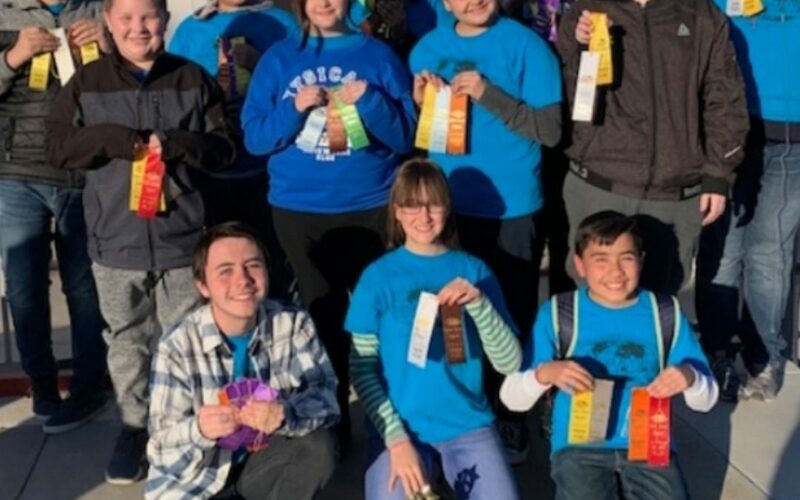 BULLHEAD CITY – For the third consecutive year, a team from Fox Creek Junior High School will advance from regional competition to the annual Arizona Science Olympiad at Arizona State University next month. 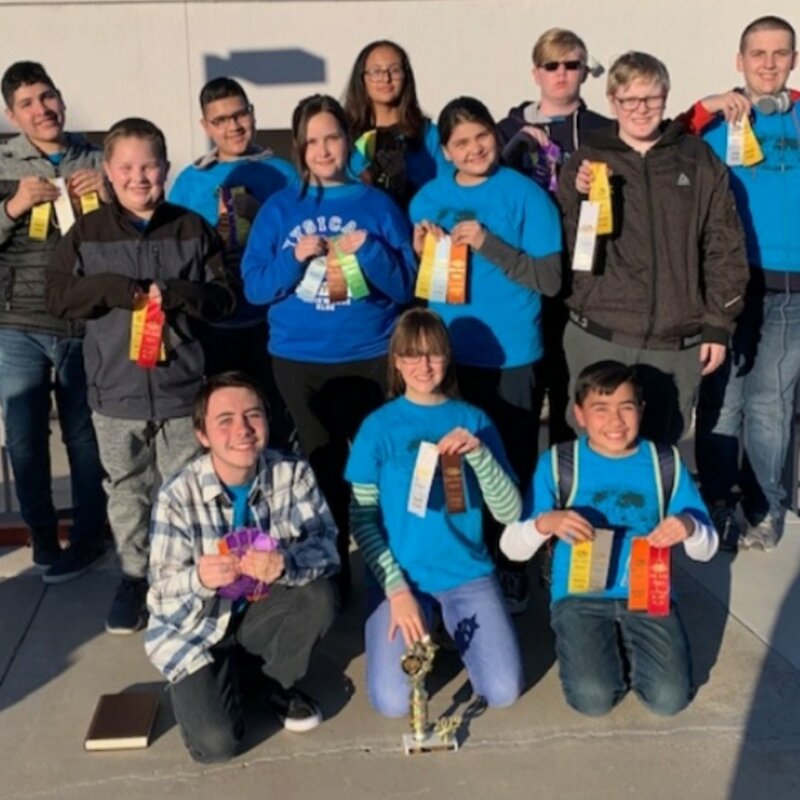 The 12 team members are coming off of a fifth place victory out of 19 teams at spring regional competition held at Estrella Mountain Elementary School in Goodyear. The Fox Creek team brought home 20 top ten finishes out of 23 events. Individually, Fox Creek scores ranged from second to tenth place. Science Olympiad is a national science, technology, engineering and math (STEM) program that allows students to apply what they know in a competitive setting. Fox Creek participates in Arizona’s Division B for middle and junior high students. Events are either academic quizzes and tests, or building competitions. Students build items prior to the competition. The highest ranking Fox Creek scores were second place for Hunter Newman and Gabriel Torquato (“Roller Coaster”), third place for Shayna Allen and Jose Rodriguez (“Elastic Glider”) and Espn Amann and Jared Burgess (“Herpetology”). There were multiple fourth place wins for Fox Creek: Jose Rodriguez and Jared Burgess (“Water Quality”), Jose Rodriguez and Kyleigh Miner (“Solar System”), Espn Amann and Jazmine Ruelas (“Meteorology”), Hunter Newman and Gabriel Torquato (“Game On”) and Noe Ortiz, Joshua Dawson and Hunter Newman (“Experimental Design”). Jazmine Ruelas and Kalia Gomez placed fifth (“Disease Detectives”) while Timothy Bates and Joshua Dawson were awarded sixth place (“Boomilever”). The students’ coaches are Fox Creek science teachers Frances Martin and Jamie McCune, as well as Desert Valley Elementary teacher Kate Hall. In addition to next month’s Science Olympiad, students will also have a chance to tour the ASU campus and attend an ASU science fair. A full list of the Fox Creek Science Olympiad team members is posted on the school district’s Facebook page, @crsk12az. Additional information is available at www.azscienceolympiad.org.